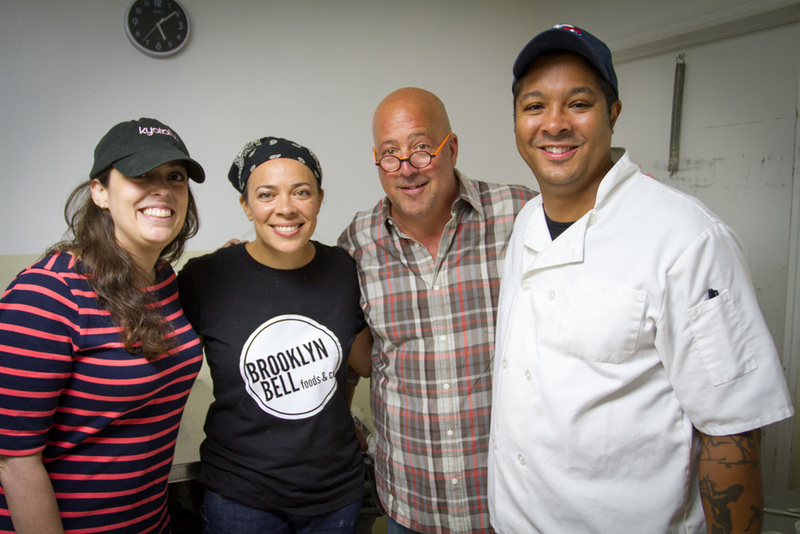 We had the INCREDIBLE pleasure of meeting Andrew Zimmern some time ago and while we didn’t get his autograph, at least we did get evidence of the encounter,* which we anticipate seeing this Monday, December 9, 2013 at 9:00 p.m. EST, on his Bizarre Foods America show which features NYC. 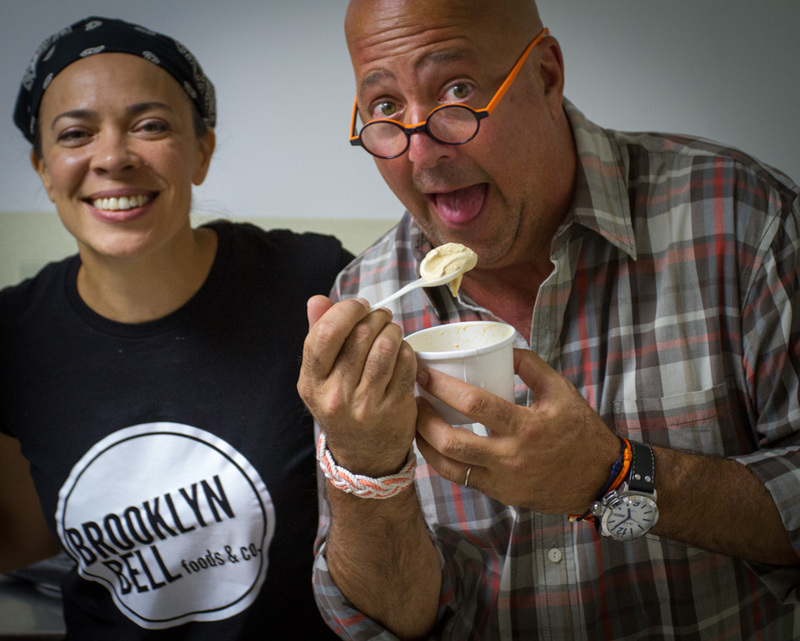 In this episode – NYC Overnight – Andrew “pulls the night shift” to come hang with Ron and Kati in Hana Kitchen after midnight, and “explore[s] the hidden world that fuels the Big Apple,” to find out “why feeding New Yorkers is an all-night job.” He said he wanted to do a show exclusively on Brooklyn Bell — nah, just kidding – he actually said he would do a whole new series on Brooklyn Bell if he could. But we said just a quick snippet on an episode would make us beyond happy. And it would. We hope it does you too. *Unlike other star spotting moments Kati has completely missed and messed up, for which she still doesn’t forgive herself.